Prepare to reactivate your sprinkler system for the Summer. 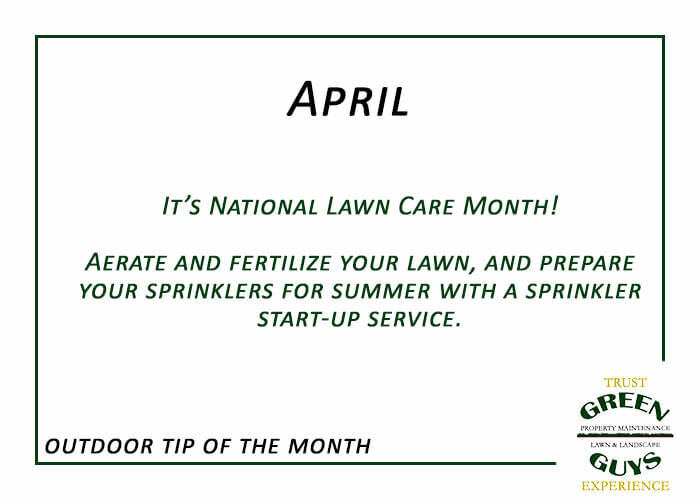 Aerate and fertilize the lawn. Cut back perennials – except evergreen perennials (plants that stay green all year). Remove dead material all the way to the ground with a sharp pair of scissors. Prepare your soil for gardening (if you’re in the mountains, you might have to wait a while longer for the soil to become workable).